Our NADCA certified Air Duct Cleaning Specialists will remove up to 99.97% of debris and dust from your ventilation system. Just as with any other part of your house, dust and debris accumulate in the air ducts of your HVAC system. However, an air duct cleaning is much more complicated than dusting your furniture. For that reason, you should hire a professional HVAC company to get the job done right—and as a BBB-accredited company with fully qualified professionals, you can count on Four Seasons Heating and Air Conditioning to make your Chicago area home safe and clean. Put Our Decades of Air Duct Cleaning Experience to Work for You! Odor Removal: Lingering odors that have become trapped in the ducts will be completely eliminated. Reduced Debris: Our services dramatically reduce the amount of dirt and debris that is lurking in your duct system, leaving your family with cleaner, purer air. Fewer Allergens: A professional and thorough cleaning of your ductwork will noticeably decrease the allergy triggers in your home. NADCA Certified Duct Cleaners: The National Air Duct Cleaners Association is an organization of air duct cleaning companies that are dedicated to higher standards of quality and ethical practices in their business. Four Seasons goes the extra mile to meet or exceed the standards set forth by NADCA, and we only hire NADCA certified Duct Cleaning Specialists. Three-Stage H.E.P.A. Filtration: Our 3-stage H.E.P.A. filtration and powerful vacuum systems work together to ensure that all of the contaminants are safely removed from the home, and every piece of our equipment meets OSHA, EPA, and NADCA standards. We use a combination of compressed air and rotary brush agitation to scrub every last inch of the ducts. In the end, you will have up to 99.97% of the dust, dirt, and debris removed from the ducts in your home. 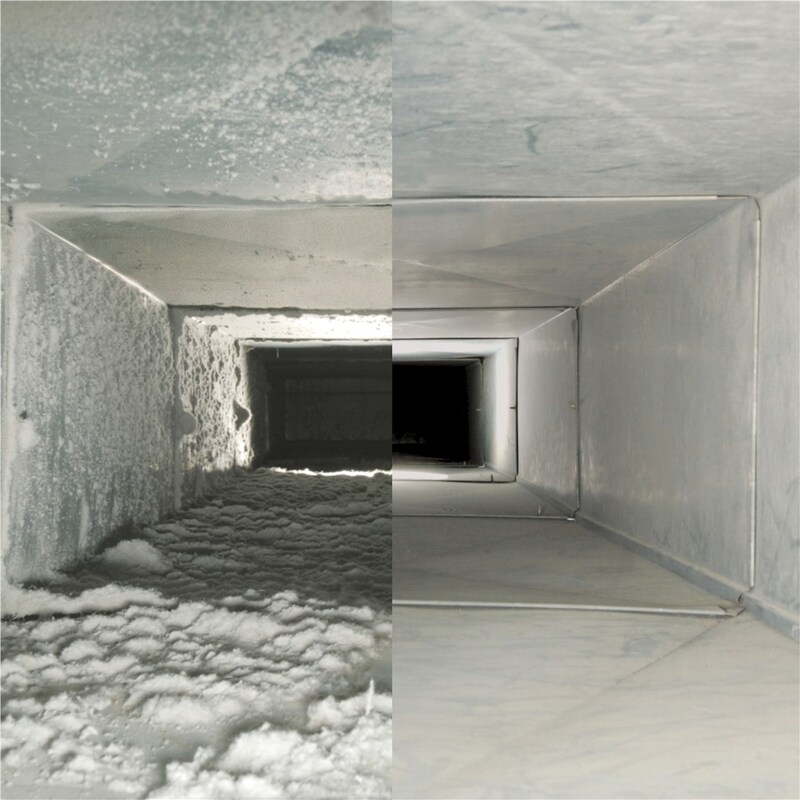 4-7 Hour Process: When you have your duct cleaning performed by Four Seasons, a two man crew will come out to your home fully equipped to perform a thorough air duct cleaning. Where other less scrupulous companies may spend an hour or two cleaning your ducts, Four Seasons will spend at least 4-7 hours meticulously cleaning every section of your ducts. Up Front Pricing & Free In-Home Estimates: Some duct cleaning companies will advertise an attractively low price to get their foot in the door, but once they arrive, the price begins to grow with additional fees and services you had not anticipated. Four Seasons offers all-inclusive, flat-rate pricing for single systems, and we never up-sell our services. We value honesty in our pricing, so if you have a unique home or a home with multiple systems, we offer free in-home estimates to give you a clear-cut picture of the service we are providing. BBB Accreditation & 100% Satisfaction Guarante: Four Seasons is a BBB accredited business, and we carry their highest rating, A+. We earned this rating by dedicating ourselves to providing excellent customer service. We want you to be happy with the service you receive, so should you ever have a problem, we will not rest until the issue has been resolved. The difference between Four Seasons and the other guys is that Four Seasons has a proven track record, is an accredited member of the Better Business Bureau, and has a reputation for quality work. In fact, we stand by our work with a 100% Satisfaction Guarantee on our duct cleaning service. Four Seasons Heating, Air Conditioning, and Plumbing has been family owned for over 40 years, you can have peace of mind that your vent and duct cleaning services will be performed by the leading HVAC company in Chicago land and not by some fly-by-night company. Is There an Indoor Air Quality Issue in Your Home? If you answered yes to the questions above, it's time to schedule an air duct cleaning! 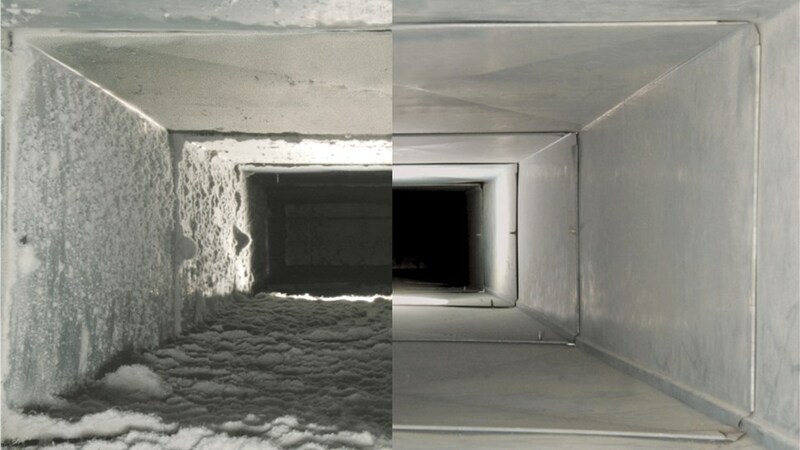 Don’t put off your air duct cleaning any longer! Instead, contact us at Four Seasons Heating and Air Conditioning to find out more about our efficient and affordable air quality services to make your home cleaner, safer, and healthier. You can call or fill out our online form to request a free, no-obligation estimate for your project.